The automotive industry is heading into a restructuring phase in which it becomes steadily more important to build on the core competencies and expertise developed over the last decades, while at the same time defining the role in the new ecosystem to secure future revenue streams. 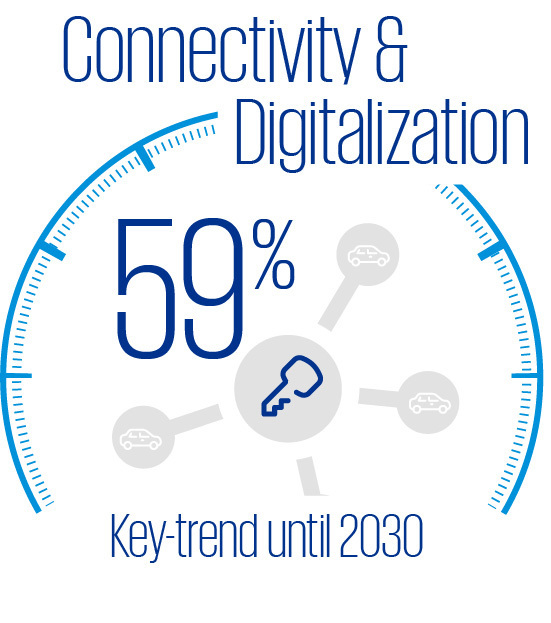 59% of respondents rank connectivity & digitalization as the most important automotive key trend up to 2030. 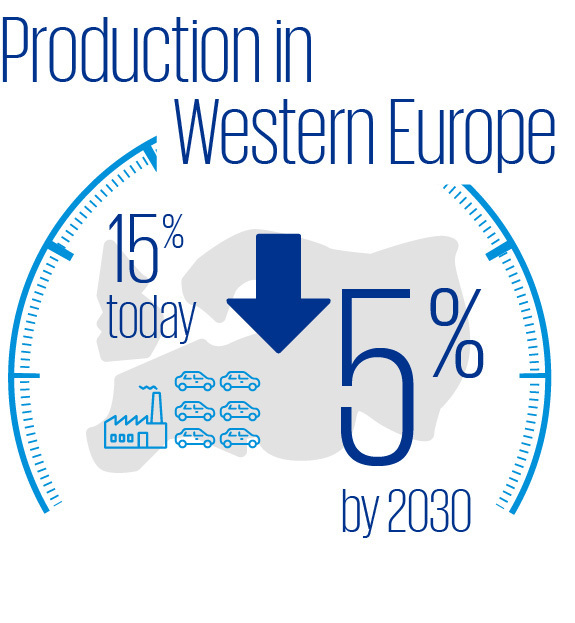 67% of execs believe that less than 5% of cars will be produced in Western Europe by 2030. 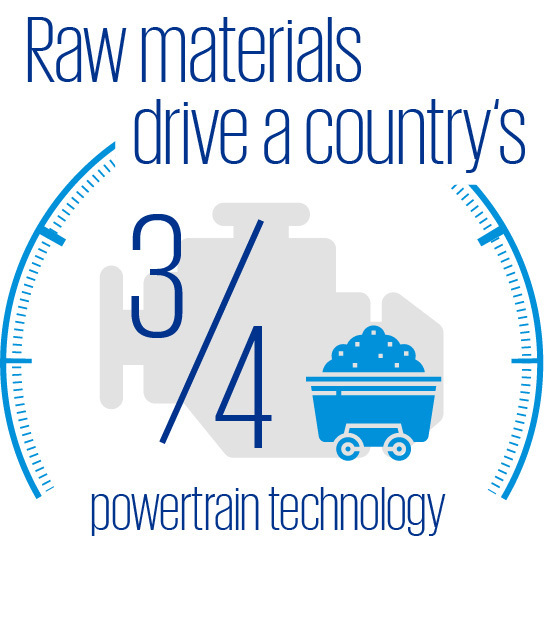 3 out of 4 execs believe indigenous raw materials to be the actual driver for a country’s preferred powertrain technology. 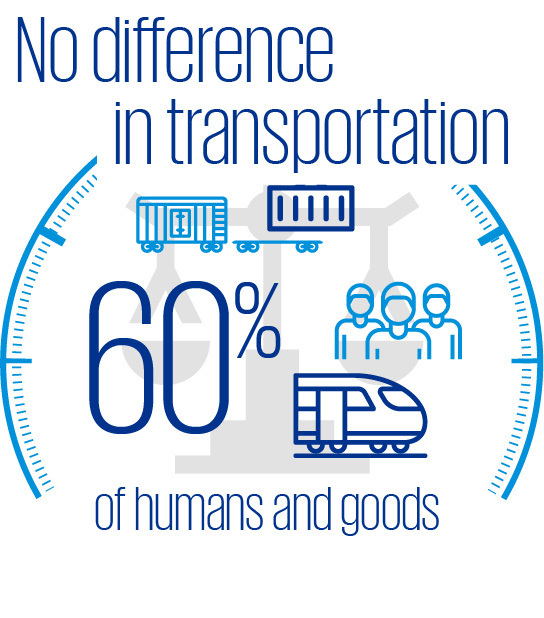 60% of executives agree that in future we will no longer differentiate between the transportation of humans and goods. In the past, product offerings have mainly been set by the OEM technological agenda, but in the future we see a change of perspective: raw material access and energy production sources affect industrial policies and therefore determine the OEM product portfolio. In addition, markets will have to be redefined and stronger segregated by demographic, available infrastructure and economic factors along with customer needs, to form islands of mobility. 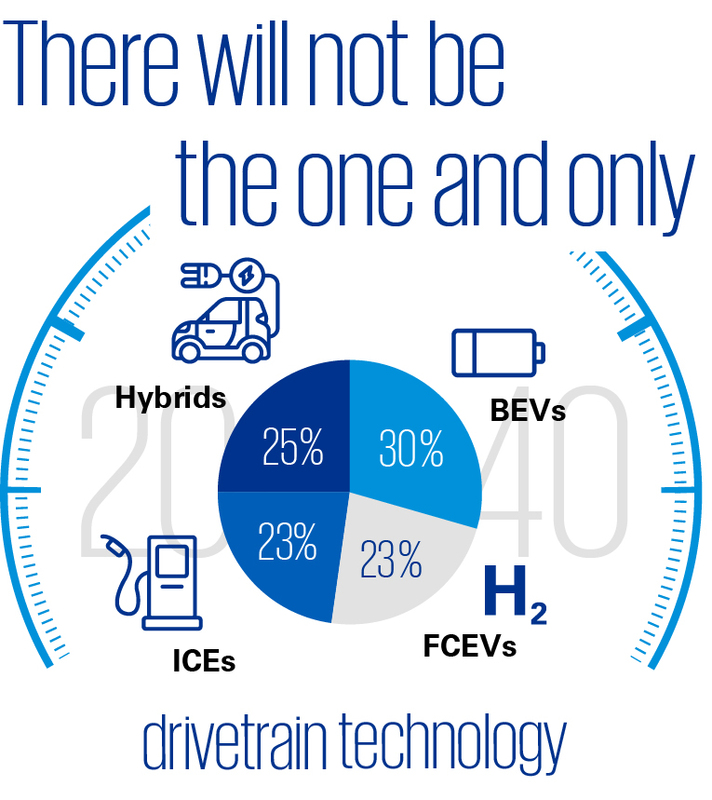 There will not be a ‘one and only’ drivetrain technology: executives project a similar split by 2040 for BEVs (30%), FCEVs (23%), ICEs (23%) and hybrids (25%). 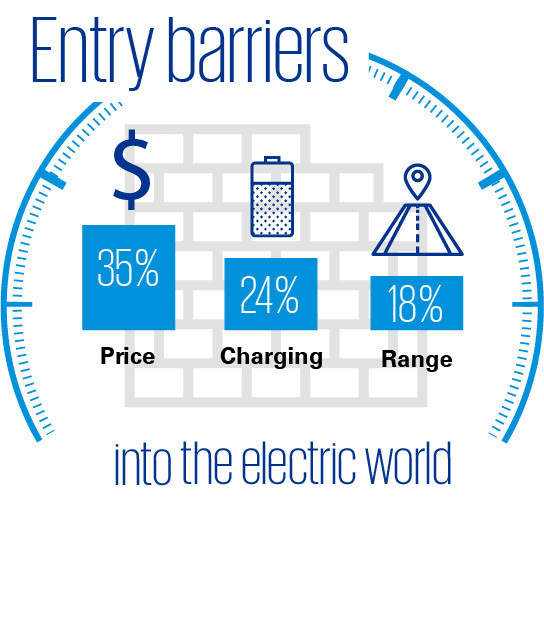 For the surveyed consumers, the most significant entry barriers into the electric world are price (35%), followed by charging (24%) and range (18%). 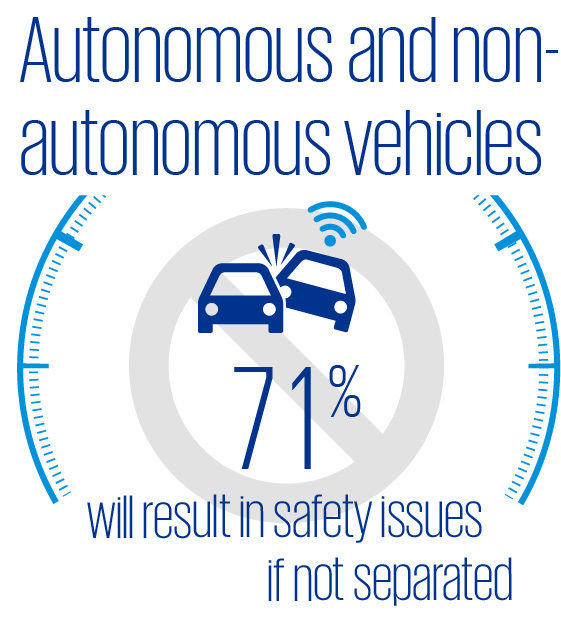 Islands of autonomy – 71% of execs still believe that autonomous and non-autonomous vehicles will result in severe safety issues if not separated on the road. Customer value puts the spotlight on the customer, meaning that understanding who the customer is must be a priority, whereby the emphasis will now be increasingly placed on differentiating between different customer archetypes. These different customer archetypes all have individual needs, preferences and requests at individual touchpoints based on their environment. This makes it necessary to manage numerous customer journeys in parallel, each requiring customized and highly individual attention. The retail landscape is in the middle of a fundamental transformation phase and the industry shall define how to best make use of existing retail structures by developing these into service factories, used car hubs or emotional customer touchpoints, which reflect brand values and their attributes. This is certainly not an easy task, but if these service centers do not reflect what shapes and defines a customer's purchasing decision around the 5 “My…”, it becomes almost impossible to accompany the customer throughout the entire lifecycle. The goal is not to do everything at once, but rather to wisely define who you want to be and choose when to compete or cooperate with other ecosystem players. The industry is thereby differentiated by 3 types of players: (1) hardware-oriented players who are flexible, cost-efficient and function simply, (2) those who aim to create a product, which does act as seamlessly as possible by combining hardware and software (not only focusing on vehicles) and eventually (3) those creating a comprehensive product that can be seamlessly integrated into a customer’s daily life. 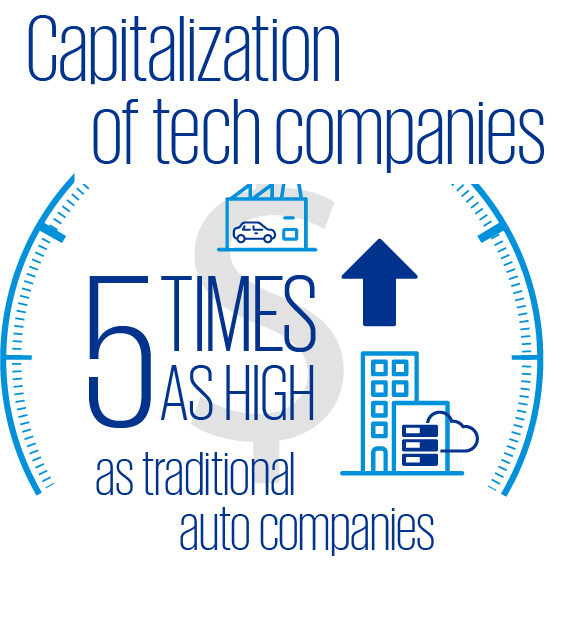 In 2018, market capitalization of the top 15 mobile tech and web digital companies is almost 5 times as high as that of top 50 traditional auto companies (OEMs & suppliers). 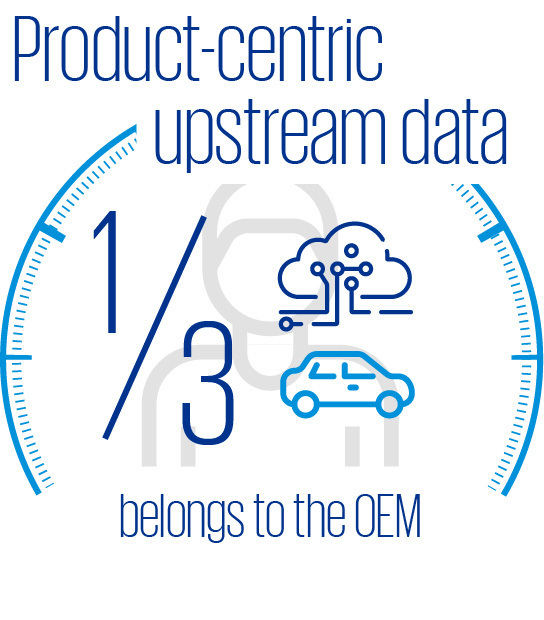 Every third executive states that product-centric upstream data belongs to the OEM – consumers still hope to own it themselves. 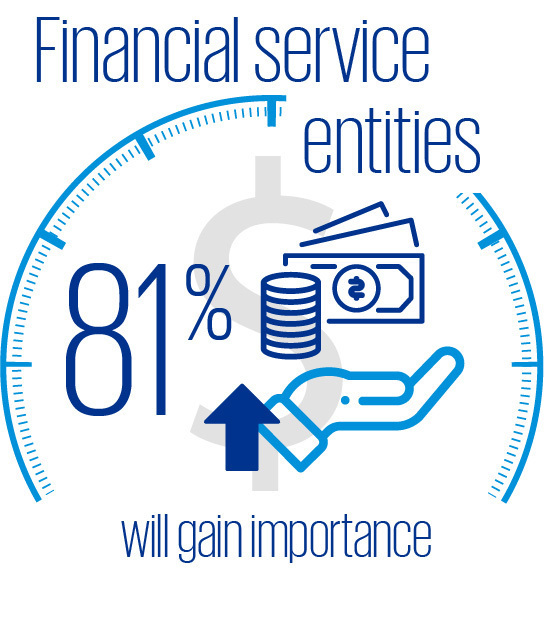 81% of surveyed execs show confidence that financial service entities will gain importance as debt levels rise due to mobility service offers & fleet management instead of mere unit sales.